A field hockey star grapples with addiction in this riveting read perfect for fans of Laurie Halse Anderson’s Speak. Katie Martin wants to leave her small-town loneliness behind forever. She is a field hockey star on the fast track to a college scholarship, but her relationship with alcohol has always been a little questionable. Then trouble finds her. Alec is the most popular guy in school, and also the biggest bully—with his sights set firmly on Katie. When Alec turns on the charm, Katie thinks she must have been wrong about him. Except that she wasn’t. On a rain-soaked, alcohol-drenched night, one impulsive decision leaves Katie indebted to Alec in the worst possible way. This fast-paced and compelling story is a “thoughtful and complex portrait of addiction, accountability, and the debilitating impact of low self-esteem” (Publishers Weekly). 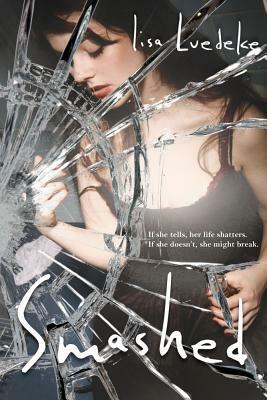 Lisa Luedeke is the author of Smashed, her debut novel. She lives in New Hampshire with her husband and daughter. Visit her at LisaLuedeke.com. "The compelling pace and relatable characters make this novel a solid recommendation for readers who enjoy Ellen Hopkins and Gail Giles." "Readers of Laurie Halse Anderson’s Speak (1999) will be drawn in by this similarly powerful tale of overcoming trauma and finding inner strength."